This reverse chronological playlist was compiled after the catalog on the composer's official site; from O-Mega (1997) to Six Chansons (1951). 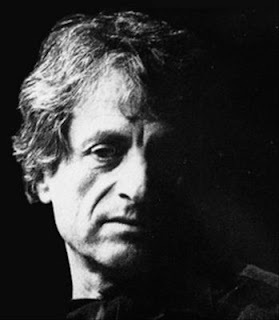 Get this collection in one Spotify playlist: Iannis Xenakis: Reverse Chronological Catalogue (130 tracks, total time: 21 hours). Ctrl (CMD) + G to browse in album view. If you are not familiar with this composer, try Psappha, Persephassa and Tetras first. Coindicence! I'm in the process of building the same playlist myself -- but in forward chronology, and much more slowly, since I'm listening as I'm building. Of the post-Metastaseis works so far, only the "game pieces" Duel and Stratégie seem utterly unavailable -- no wonder really, considering their nature.